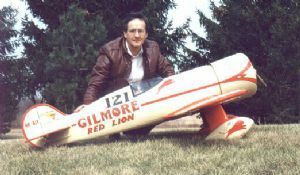 Wendell Hostetler has been a leading large scale designer for the past 25 years, with many of his models taking scale competition honours all over the world. A Belair Parts Set includes all the main cut parts to complete your model. Typically this includes ribs with all cutouts and spar slots, formers, fuselage sides, wing tip shapes, tail and fin parts, bulkheads and additional shaped parts. All parts are accurately laser cut from premium wood. You will need to supply strip and sheet wood to complete. All fiberglass mouldings can be purchased through Belair and they are genuine Hostetler parts.